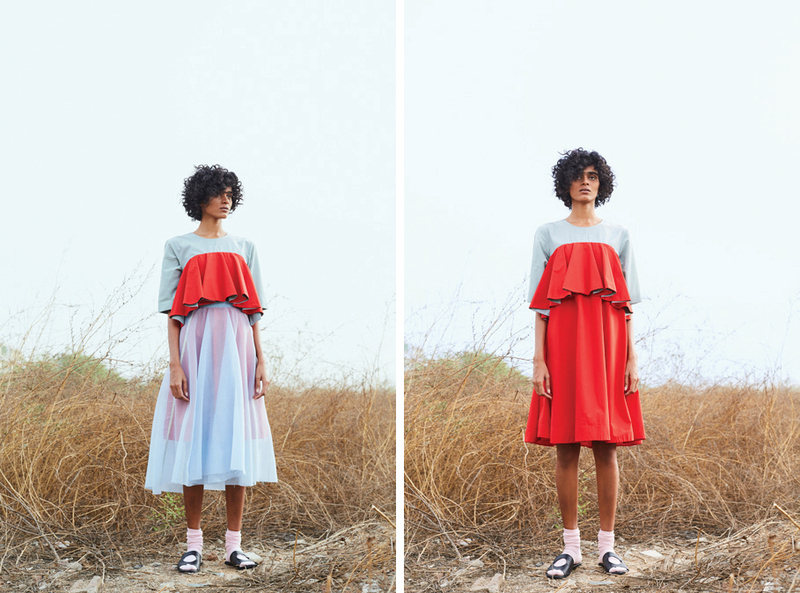 Disrupting the stereotypes found in India’s maximalist fashion scene, Lovebirds brings a balance between efficiency and expression. 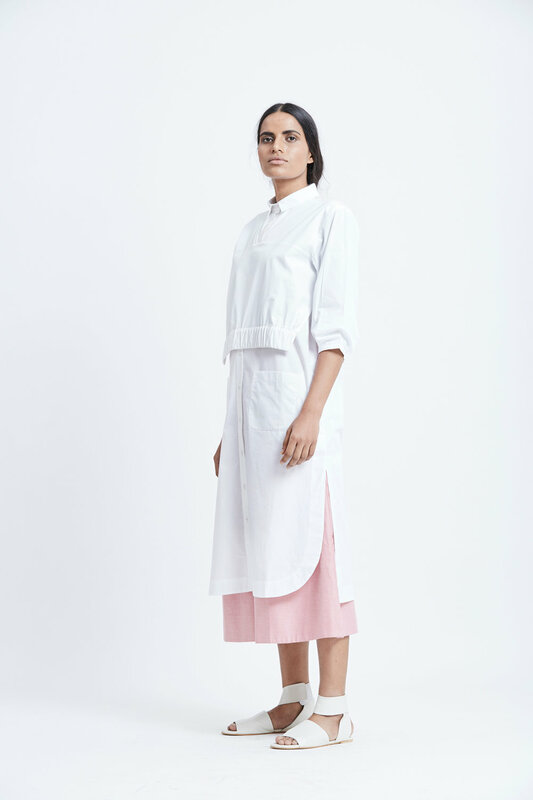 Inspired by clean lines, geometric silhouettes and architectural forms, the fashion label is breaking through the noise by challenging who today’s contemporary Indian woman is. 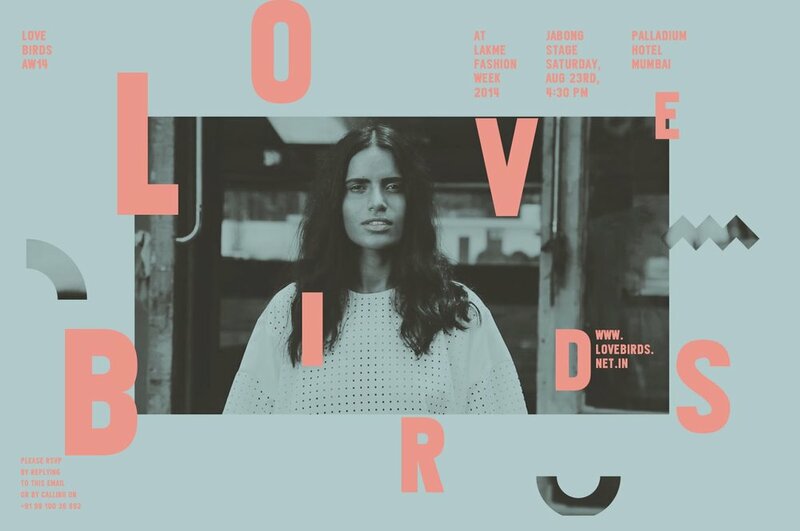 Lovebirds is a womenswear label started by Amrita Khanna and Gursi Singh based in New Delhi. 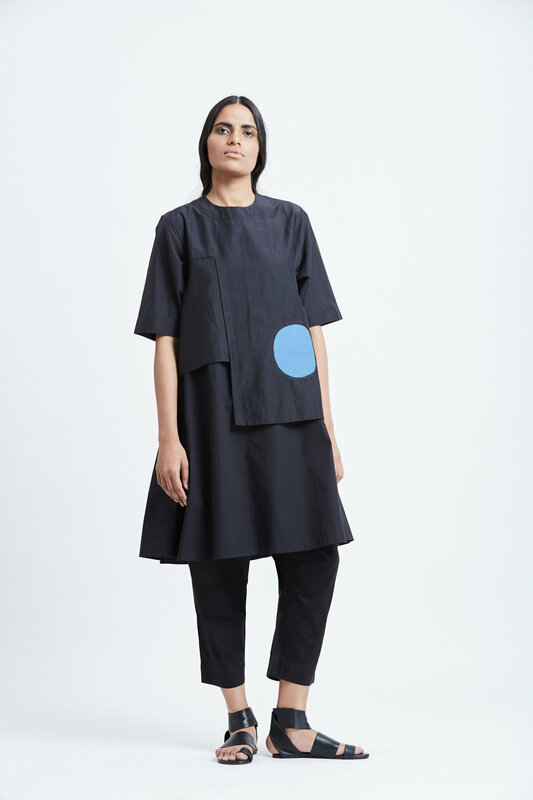 Amrita’s background is in fashion having studied at London College of Fashion, whilst Gursi, is a graphic and spatial designer, with a background as an art director in advertising. The combination of merging these disciplines has allowed them to create a distinct aesthetic for themselves being structural yet playful, both through their clothing and graphic design. We caught up with Gursi to find out more about their brand and here’s what he had to say. How did you guys meet and how did this collaboration begin? It started when Amrita opened a vintage store in Delhi – it was one of the first of it’s kind in India. She started this place in Hauz Khas Village and it was at the time, a really booming, hipster place where a lot of designers and artists were getting together. At the same time a lot of people were coming back from studying in Europe, mostly England like Amrita, and started setting up these little shops – they had all these new fresh ideas. Whilst she was setting up her store I was designing a cafe near there. So, that’s how we met each and other and basically, fell in love and started living together. At that time she was still doing her own designs and also collecting vintage items from here and there and traveling a lot, whilst, I guess, I was a self-proclaimed artist, mostly illustrating and working on personal projects. One day Amrita asked me to come to her studio and help her out instead of doing all this. So I decided to join her in the studio and first began sitting there and watching her work. I’d never worked in the fashion industry before and it really excited me. So I asked if we could create a small collection together, just for ourselves to see what we can make together. We made our first collection and sent it to some magazines in India to see what they would say. And soon after we started getting calls and emails saying “this looks amazing”, “we want to talk to you guys”, “it’s great what you guys have done” which gave us a lot of encouragement, a lot of excitement and that’s how we started. We’ve never really looked back since – this was about three years back. How would you describe the type of woman that wears Lovebirds? We feel that a woman’s role in India is really changing fast. The whole idea behind what we do is based on this particular type of woman, she’s efficient, conscientious, educated, smart, easy going and carefree. Neither of us really believe in the idea that there’s anything in this world to be too serious about. We just want to make clothes that look effortless and less hectic, at the same time expressive. Your brand is very minimal, clean and geometric, which isn’t really something that instantly associates with Indian design. How is your brand perceived in India? This is something we’re really trying to disrupt here. It’s something that a lot of us in the design community want to break away from. India is too much right now! We want to create something that’s just fresh and a relief from everything around us. Less is more. India has a stereotype of being super maximal, but I think like the Japanese and South East Asians, minimalism really suits us. We want to bring that out and encourage this type of look. 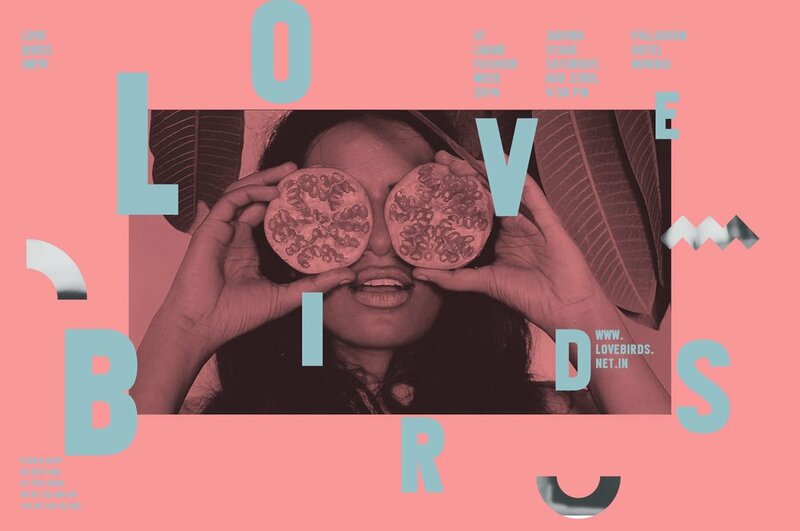 How does your background in graphic design transition into what you do at Lovebirds? I still really enjoy doing graphic design. I didn’t expect it to be such a big part of our fashion label but it’s turning out to be a good thing to bring to the label. It’s helping us stand out. When I first start my sketches, they always start off super geometric, and I always get told by Amrita to start sketching on the female figure! But I can’t help but to begin with a boxy, straight and architectural form, there are no curves to be seen. My love for geometry and graphic elements come into play here. How have you found working together? We really complement each other. The process of design starts with me, I start sketching then I pass it to Amrita who has the last call. She’s very good with the business side of things and my head is more in the creative, sketching and finding references. Amrita really understands fashion more and I understand design more, so this is where we merge well together. I really would ignore the business aspect of fashion so she balances it out. You can’t have one without the other. How would you describe your presence in India? We are pretty niche and at times it can be quite challenging. It’s challenging to give India a boxy or oversized silhouette or designs with no embellishment. But with the onset of many high street labels starting to open like Zara and H&M, as well as the rise of the number of people traveling, the awareness of our look is growing. At the moment only a few very aware people are into what we do. Our major markets in India are in the big cities like Delhi and Mumbai. However, we feel that we are sitting on a huge market which is going to open up really soon, you can’t avoid homogenisation, so it’s going to happen sooner or later. It’s actually a great place to be.